In this episode of The Striking Corner podcast, Eric & Vinny speak with Dan LaSavage. Dan is a former professional Muay Thai and MMA fighter who now owns Combat Corner, a successful combat sports equipment brand. We discuss his career in martial arts, what drove him to start his own brand, the growth of combat sports in America, and why he believes YOU should stop worrying about how many ounces your gloves weigh. Listen and enjoy! In this episode, Eric and Vinny discuss Eric’s evacuation from Florida for Hurricane Irma, the recent controversy surrounding Yokkao, Eric rants about the Canelo vs. GGG decision, corruption in boxing, politics in fight sports, and more. Eric had fun with this one and talked a lot more than usual if that’s possible. You be the judge! 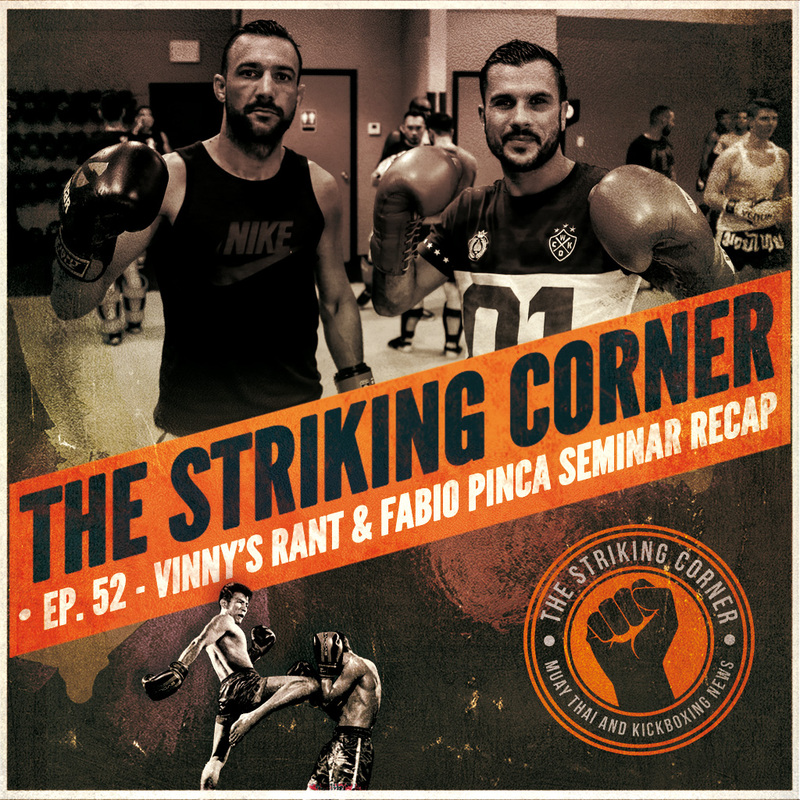 In this episode of The Striking Corner, Vinny and Eric chat about Eric’s first week back in training, amateur fighters not making weight and how to deal with it, the TBA Muay Thai Expo, McDojo’s teaching Cardio Kickboxing and calling it Muay Thai, and much more! We also talk new gear you should look out for and more additions to The Striking Corner shop. 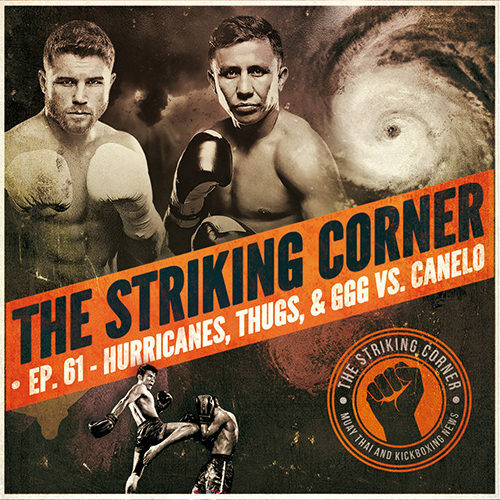 In this episode of The Striking Corner Podcast, Eric & Vinny sit down with Muay Thai Fighter, Trainer, and Physical Therapist, Dr. Hiro Perera. We discuss common injuries in Muay Thai as opposed to other sports, injury prevention, treatment, as well as when it is time to contact a medical professional. We also discuss how to warm up properly and whether or not the way many Muay Thai gyms across the country warm up before and after a class is truly correct.